Do You Need an Estrogen Therapy Prescription? Women dealing with menopause have many options to reduce their unwanted symptoms. For many, the first choice is to get an estrogen therapy prescription from their doctors. Is this the right decision, and do you even need a prescription for estrogen therapy? If you want to use one of the medically approved medications that increase estrogen levels, you will need a prescription. Your doctor will determine if you are a candidate for treatment following a physical examination. Many gynecologists and other doctors routinely order estrogen or combined estrogen and progesterone for their patients. They know the medical history of the individual and recognize the symptoms of menopause. That does not make estrogen the right choice for treatment. Estrogen replacement prescriptions benefit women who have low estrogen levels if their testosterone and progesterone levels have not declined. Some women may have lower levels of these other two hormones. If you increase only estrogen, you could wind up with a condition called estrogen dominance. Many women who gain weight when using estrogen therapy often suffer from estrogen dominance which further lowers critical testosterone levels. A hormone specialist whose sole focus is balancing hormone levels in older adults is the best person to treat menopause symptoms. Doctor prescribed estrogen therapy can help strengthen your bones, reduce hot flashes, and improve your sleep. There is no doubt that estrogen replacement is important for many women, especially following an oophorectomy. You want to protect your heart, brain, and bones from decline. What is an oophorectomy and why can estrogen help? An oophorectomy is the surgical removal of a woman’s ovaries. This occurs most often in conjunction with a hysterectomy. When the ovaries are removed, a woman will likely enter surgically induced menopause. The symptoms can occur rapidly, and estrogen therapy can help. Of course, not all women dealing with menopause want to get an estrogen therapy prescription. Some look to the products they find on store shelves, such as natural estrogen creams. Bioidentical progesterone supplements are also available. These homeopathic products should also be used under the supervision of a hormone specialist. Remember, hormone levels require a careful balance as they tend to influence other hormones. Always get your blood hormone levels checked before beginning any type of hormone therapy. How Do You Get an Estrogen Therapy Prescription? Whether you are considering prescription or over-the-counter estrogen, you want to speak with a hormone specialist first. How do you get prescription for estrogen therapy? 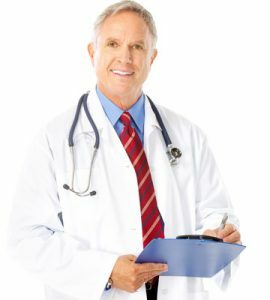 When you contact a hormone clinic, you will have a consultation to discuss your needs, symptoms, and concerns. Your risk factors will be examined to ensure that you are a viable hormone replacement candidate. Over-the-counter estrogen therapy may also be contraindicated for some women. 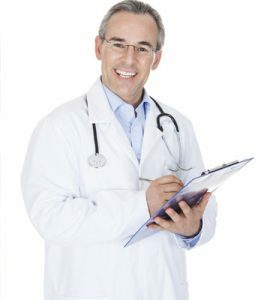 Your hormone doctor will run blood tests and review the results along with those from the physical examination. 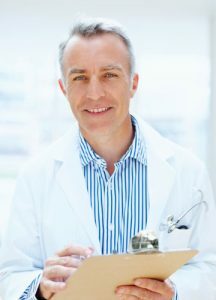 A medical history questionnaire provides the remaining information to the doctor. 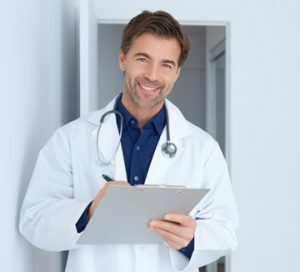 If deemed the right choice, you will then receive an estrogen therapy prescription for the type of estrogen best suited to your needs. For a free consultation to learn more, contact HT Medical Center. We are here to provide the superior hormone treatments at affordable prices.